Razer, known most profoundly for its gaming peripherals, is also a large supporter in the e-sports scene - having sponsored and nurtured various teams from all around the world under their Team Razer program. Closer to home, Orange eSports is already part of the team and it sure looks like they won't be the only Malaysian team anymore. Also, on a similar note, he will have an exclusive Meet and Greet session and the first 10 in line to meet him (more specifically starting at 1pm) will walk home with 5 exclusive Signature Edition Razer DeathAdders and 5 Signature Edition Ironclads. Sure sounds like incentive, isn't it? Nevermind if you can't make it to the first 10 but if you visit Razer's booth, you will still pick up some special Razer swag like drinking flasks, beanies and even bandannas, which will all be autographed by Tan himself! 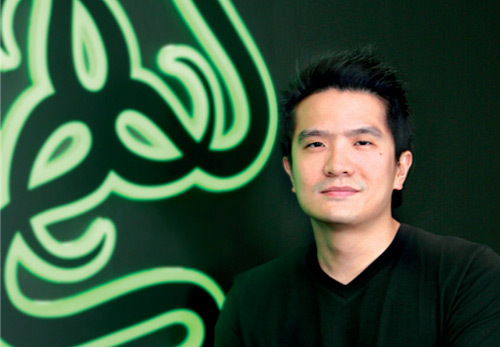 *More information on the Official Razer Malaysia Fan Club and Min-Liang Tan page. *Aspiring competitive/e-sports gamers can also visit team.razerzone.com for more details.